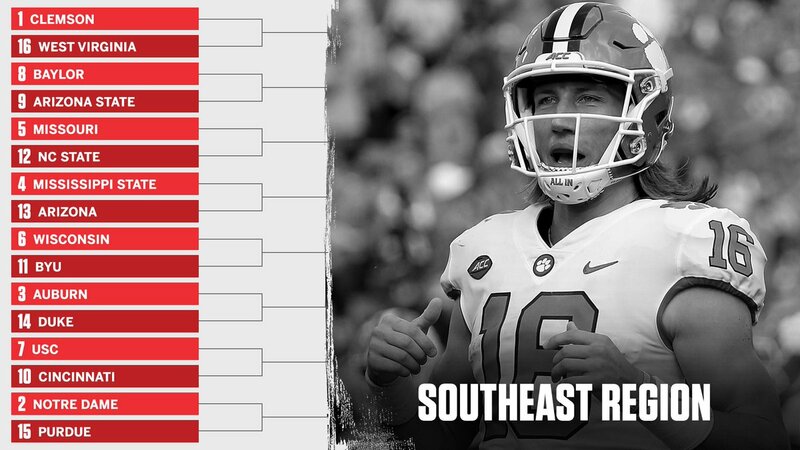 SALT LAKE CITY — What would March Madness look like if it were a college football tournament? That was the question ESPN staff writer Adam Rittenberg broached early Tuesday morning and his answer took March Madness to a whole new level. 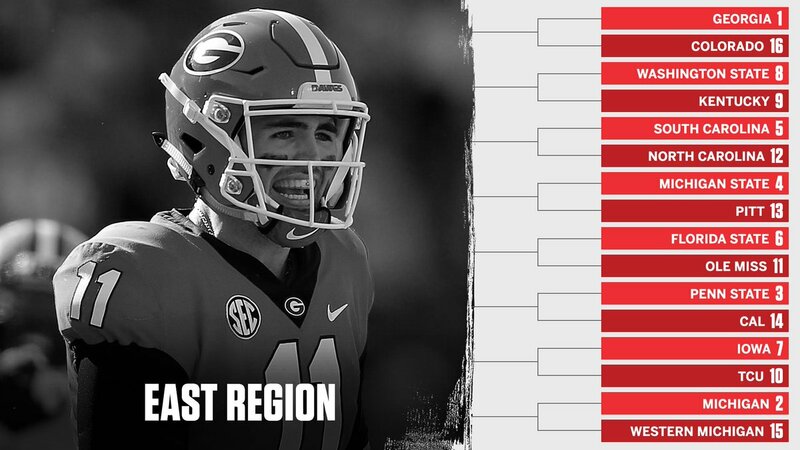 Rittenberg created a 64-team college football bracket, based on ESPN's preseason Football Power Index. 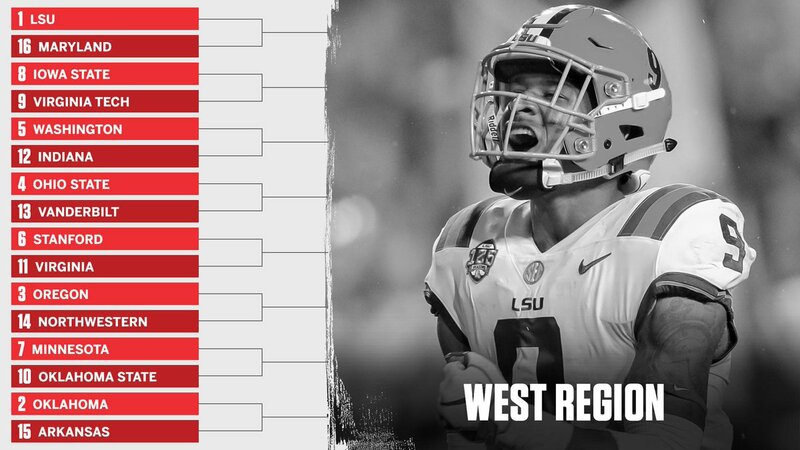 BYU and Utah both made the hypothetical field — Utah State is ranked 82nd by ESPN heading into the upcoming season and was therefore left out — the Utes as a No. 5 seed, the Cougars as a No. 11 seed. After setting the field, Rittenberg then narrowed it by examining each individual matchup and picking a winner. Rittenberg eventually eliminated all but 16 teams, setting the stage for a Sweet 16 updated version of the hypothetical in the near future. Among the 16 teams remaining? The Utes. Rittenberg gave Utah the edge in both its first round matchups, against Matt Wells’ Texas Tech Red Raiders, as well as its second round bout with Syracuse. The two wins would subsequently pit Utah against No. 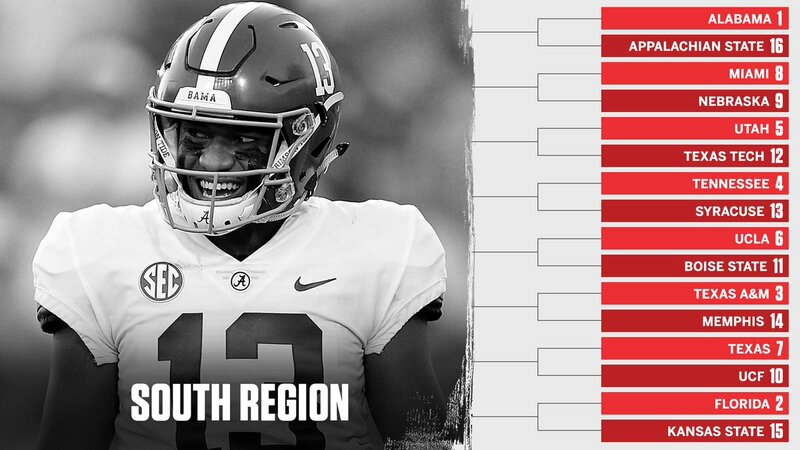 1 Alabama, in a rematch of the 2009 Sugar Bowl. As for BYU, the Cougars were slated to face off against the Wisconsin Badgers in the opening round, and this time around it was the Badgers, according to Rittenberg, who came away victorious. Speaking of March Madness, ESPN senior editor Tony Moss decided to dive into the basketball playing backgrounds of each of the 68 coaches in this year’s tournament. He then ranked the coaches — “in a mostly unscientific manner,” he noted — the purpose being simply for a bit of fun. Utah State head coach Craig Smith came in at No. 63 in the ranking, ahead of the likes of Auburn’s Bruce Pearl, Baylor’s Scott Drew, Minnesota’s Richard Pitino, Kansas State’s Bruce Weber and Texas Tech’s Chris Beard. Gonzaga’s Mark Few came in at No. 58, Saint Mary’s Randy Bennett at No. 52 and Oregon’s Dana Altman at No. 48. The top 5 was comprised of Oklahoma’s Lon Kruger (5), Virginia’s Tony Bennett (4), Arizona State’s Bobby Hurley (3), UCF’s Johnny Dawkins (2) and St. John’s Chris Mullen. The Salt Lake Bees unveiled their 2019 Abejas de Salt Lake logo Monday morning, along with the official hat and uniform, as well as the specific dates on which the team will wear it’s Abejas gear.